Whether you’re a landlord or tradesperson running a business, or a homeowner looking to protect your property, having the appropriate insurance in place is key. In fact, it’s regularly one of the most searched-for topics here at the Property & Building Directory. We’re always pleased to help our readers find the right insurance products for them, and we were recently delighted to add the award-winning Bolton-based firm Arkwright Insurance to our Directory. Arkwright Insurance Brokers Ltd is an authorised and regulated insurance broker that prides itself on providing excellent service to the public and businesses. Because the company deals with a large pool of insurance providers, it is able to help customers get the right policies at competitive prices. Arkwright Insurance offers a full range of insurance products – including car insurance and travel insurance, for example – but let’s take a look at some of the popular products most relevant to homes and property, and understand when you might need them. One of the most well-known types of insurance, home insurance can cover the property in which you live, its contents, or both. Your home and everything in it is one of the biggest investments you ever make, so it’s critical that your household insurance policy is appropriate for your needs. Arkwright Insurance works with top insurers and one of the largest home emergency companies to provide a comprehensive range of home emergency insurance policies. Examples of the types of product available include plumbing and drainage polices, boiler and heating breakdown protection, or a combined policy covering radiators, water supply pipes, plumbing emergencies and gas central heating. As Arkwright’s website points out, a standard home insurance policy does not cover a business whilst working from home. So, depending on the activities you are carrying about, separate home business insurance may be required. For example, you might wish to extend your ordinary building and contents cover to include dedicated office equipment, supplies and furniture, or provide protection for a garden office detached from the home. If you’re a landlord, Arkwright is able to offer a wide range of building and contents insurance for tenanted properties – and guarantees to beat any other landlord insurance quote. Policies are available to cover different types of tenants – such as professionals, students, or holiday rentals – with contents and rent-cover options. Another type of cover very relevant to Property & Building Directory readers is unoccupied property insurance. This is crucial if your residential or commercial property is going to be empty for a few months or more. For example, it can cover problems such as vandalism, water damage from leaks, or theft from outbuildings. You can also get cover if you require protection while a property is vacant but being renovated. We’ve only scratched the surface here in terms of the types of cover offered by Arkwright Insurance, and there are many other policies available if, for example, you are running a hotel, own a shop, or work as a tradesman. Head over to the Arkwright Insurance website to get more information and request a quote, or give their team a ring on (01204) 392525. 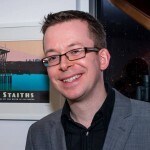 After gaining degrees in Architecture and Town Planning, Graham has moved into the digital marketing world as owner of CannySites.com and editor of the Property & Building Directory. Say hello on Twitter at @soult!